Can You Claim a Travel Trailer on Taxes? The IRS is surprisingly flexible on how it defines home. A home is just about anything that has a place to sleep, cook and use the restroom. If you could live in it for more than a day or two, your travel trailer is probably tax deductible. Your travel trailer will qualify as tax deductions on your federal return. However, new reforms being implemented in 2018 will generally make it more difficult to claim interest paid on your travel trailer loan when you file. The IRS lets you deduct the interest on the loan for your travel trailer if certain criteria are met. Fortunately, it's not too difficult to meet them. First, the travel trailer has to be, by their definition, your main or second home. A main home is any place where you ordinarily live most of the time. A second home is one that you choose to treat as your second home and is not rented out. If you have more than one second home, you have to pick one for tax purposes. A regular house, condominium, co-op, mobile home, RV, boat or travel trailer can all qualify as homes as long as they have sleeping, cooking and toilet accommodations. The loan on your travel trailer has to be secured by a qualified home. In most cases, this is the travel trailer itself. If you default on the payments, it could be repossessed. Travel trailer loan interest is deducted just like you deduct interest on a mortgage for real estate. Your lender should provide you with a Form 1098. You enter the information on it on Schedule A. When you’ve finished filling out Schedule A, transfer your total itemized deductions to Form 1040. If you paid for your travel trailer with a real estate home equity loan, things get a little more complicated. The interest may not be deductible at all or only in part. Check with a professional tax preparer. Can a Personal Auto Loan Be Tax Deductible? There are exceptions to travel trailer tax deductible loan interest. Unfortunately, interest on the loan for the car or truck you use to pull it is not deductible. 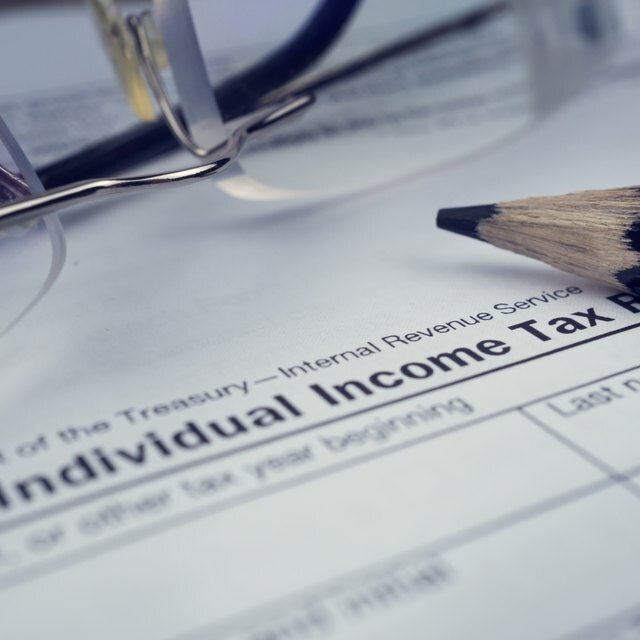 Additionally, If you’re subject to the alternative minimum tax, you can’t claim many of the deductions other taxpayers can. This may include the home mortgage/travel trailer deduction. This may seem obvious but, while sales tax on the purchase of your travel trailer may also be deductible, you can’t deduct it if you bought the travel trailer in a state that doesn’t have sales tax. Those states are Alaska, Delaware, Montana, New Hampshire and Oregon. Even after tax reform, interest on your travel trailer loan can still be deducted for the 2018 tax year. The only change is that the amount of interest you can deduct is limited to mortgages of $750,000 (down from $1,000,000 in 2017), which isn’t likely to affect your ability to take a deduction on a travel trailer loan. However, to claim the interest on your travel trailer loan, you have to itemize. And it only makes sense to itemize if you have deductions that total more than the standard deduction. Standard deductions for 2018 have increased quite a bit. They're $12,000 for individuals, $18,000 for single heads of households and $24,000 for married couples filing jointly. At the same time, dollar amount limits have been imposed on some deductions. For example, you used to be able to deduct any amount of state and local taxes. But beginning with the 2018 tax year it’s capped at $10,000. Higher standard deductions, and now lower limits on what you can deduct, mean that it’s harder to reach the threshold where it makes sense to itemize. You should be aware that there is some debate about whether loan interest on travel trailers will be deductible at all for 2018. Some popular RV websites discuss concerns that post-tax reform the deduction might only apply to self-propelled vehicles, excluding those that are towed, like travel trailers. However, others argue that because the section of the new tax code that addresses self-propelled vehicles is completely separate from the section that discusses deductible mortgage interest, it does not exclude travel trailers. See what your professional tax preparer has to say on this one. The debate about whether interest on a travel trailer loan is deductible or not is not an issue for the 2017 tax year. The old rules still apply. Also, standard deductions are lower so it should be easier to come up with enough total deductions to itemize. Standard deductions for 2017 are $6,350 for single persons, $12,000 for heads of households and $12,700 for married people filing jointly. If you use your travel trailer for business purposes or work out of it regularly, you may be able to claim some business expenses on it. Some business expense deductions shrink and others disappear completely in 2018. So work with your tax preparer to make sure you’re claiming everything you’re entitled to while you still can. Some states raise money through personal property taxes. They’re in addition to sales tax, and the state and local taxes you pay on real estate. While many states have moved away from personal property tax, some still apply it to large items like cars and boats and travel trailers. If your state charges personal property tax on your travel trailer, you may be able to deduct all or part of it. Again, something to discuss with your tax preparer. If you’re shopping and would like to get an idea of what your travel trailer tax deductible amount might be, look for an RV loan payment calculator that includes amortization. You may have to dig a little to find one. There are many RV loan payment calculators online but most of them just tell you what your monthly payment will be. The ones that amortize for you require the price of the travel trailer you’re considering, the amount of your down payment, trade-in information if applicable, the interest rate, sales tax and the length of the loan in months. After you enter these numbers you’ll get the amount of your monthly payment and a break down of how much interest you’ll pay over the life of the loan. Even better, it will give you an annual breakdown of that interest. IntuitTurboTax: Can You Claim a Boat or RV as a Primary Residence? RVTailGateLife: Tax Time: Does An RV Qualify for Tax Deductions? Intuit TurboTax: What Are Personal Property Taxes?